Gen Z was born with the internet. Literally. The generation dates from 1995 when the internet went commercial and led to a profound change in nearly every aspect of society. Gen Z is the first entirely digital-native generation. They have grown-up in a world with smooth internet access and digital technology as a second language. 92% of Gen Z have a digital footprint and nearly all have grown-up connected to social media with digital advertisements following their every move. Much of their social interaction and entertainment takes place on-line. In general, their heroes are vloggers and instagrammers who can be anyone from Hollywood celebrities to teenagers sitting in their bedrooms. They have grown-up curating their own social media presence and having access to the most personal aspects of ‘Influencers’ lives, from post-baby body photos to their sexual relationships. They have been bombarded by digital advertising at every stage and are therefore extremely sensitive to the way brands communicate with them. I have put together below a list of ways that artist collaborations can help brands create a genuinely authentic connection with Gen Z through an understanding of what is important to them. Authenticity - ‘Good brands create culture, bad brands buy it’. If you want to communicate with Gen Z, then you need to find an authentic story to share with your audience. Gen Z can spot an inauthentic brand message from a mile away, so there is no point doing this half-heartedly. Inviting an artist to collaborate with your brand on a product or advertising campaign gives you a direct link to an authentic message and genuine creativity. Juergen Teller’s ground-breaking ad campaigns for Marc Jacobs are a great example of this. The images he creates often barely show the clothing. Instead, glamorous celebrities are barely recognisable in strangely intimate settings often with the photographer himself present in the overexposed shot. Gen Z are just as interested in the ‘journey’ as the final product, so working with an artist can give you an incredible platform to generate story and content around a project. The freedom that you give to an artist will speak to the then Gen Z audience who will appreciate your brand for openness and inclusivity. One of the most interesting characteristics of Gen Z is their lack of fear of failure. Something that truly hampers the potential and originality of Millenials. Gen Z has grown up post-2008 financial crisis in a world where anyone can start a company with a few clicks of a button. They live by the mantra that if they fail, move on and start another project. Brands need to share this philosophy and collaboration with artists gives you the opportunity to explore a new story or vision for the brand with a limited amount of risk. Launching a limited edition line or digital ad campaign allows you to test new audiences and markets while remaining within your global brand strategy. 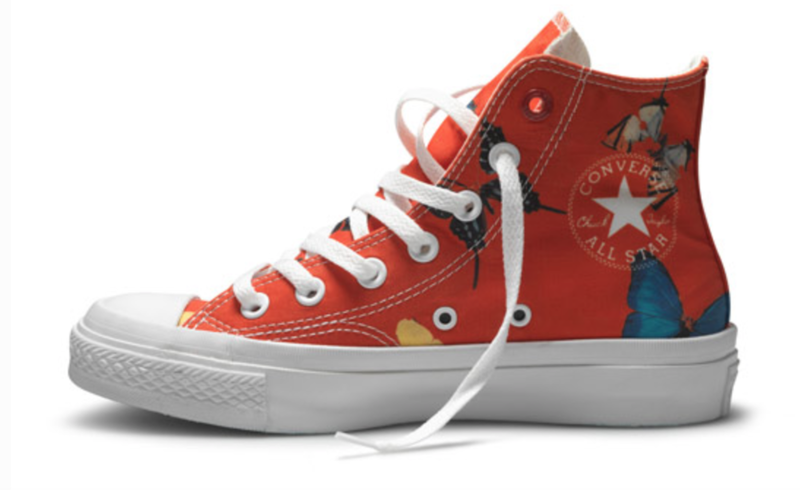 Converse are exemplary in their approach to this type of on-going collaboration. The range of artists with whom they have worked and the freedom they give them, has built a brand-image truly engaged with artists and creativity. And these limited edition sneakers really sell-out fast to Gen Z who ‘get’ the approach. Even if you the project is not a huge commercial success, Gen Z will identify your brand experimentation and remain interested. If you can show that your brand has a genuine interest in artistic collaboration and has incorporated creativity as a core value, they will follow your story and remain loyal. Gen Z are looking to make a connection with brands that go beyond the product itself. They want experiences and new discoveries. However, if you are not authentic with Gen Z they will drop out very fast. They expect to find a certain freedom given to the artist to create something that is authentic. If they suspect it is a pure marketing pitch, they won’t connect. This is why the choice of artist is essential. Their connection to the brand values is what will make the collaboration successful. Gen Z are the most globally connected generation in history. They have grown up in a world where their social network can stretch from the US to China. When a global event takes place, they feel personally affected as they live it in real-time on twitter and YouTube. Gen Z therefore relate more than any other generation to the concept of collaboration and building relationships. For Gen Z, Takashi Murakami creating a line for Uniqlo or Chinese activist-artist Liu Bolin featuring in an advertisement campaign for Moncler, is not only exciting, but for them, totally normal. Gen Z is essentially a generation that sees no sense in boundaries - and connections between brands and artist are the logical outcome. Indeed Gen Z will be the generation of the work/life 'blend', not the work/life balance. If you can turn a computer on, you can work. Blending, or the Flow as we call it, is the future. If there is one thing that would seem to characterise Gen Z’s relationship with digital media, it is the notion of constant up-dates. Today information flows through multiple platforms, constantly changing in reaction to events. If you are not up-dating your social media platforms regularly, you do not exist. BMW tapped into a great idea when they created their BMW Art Tour. 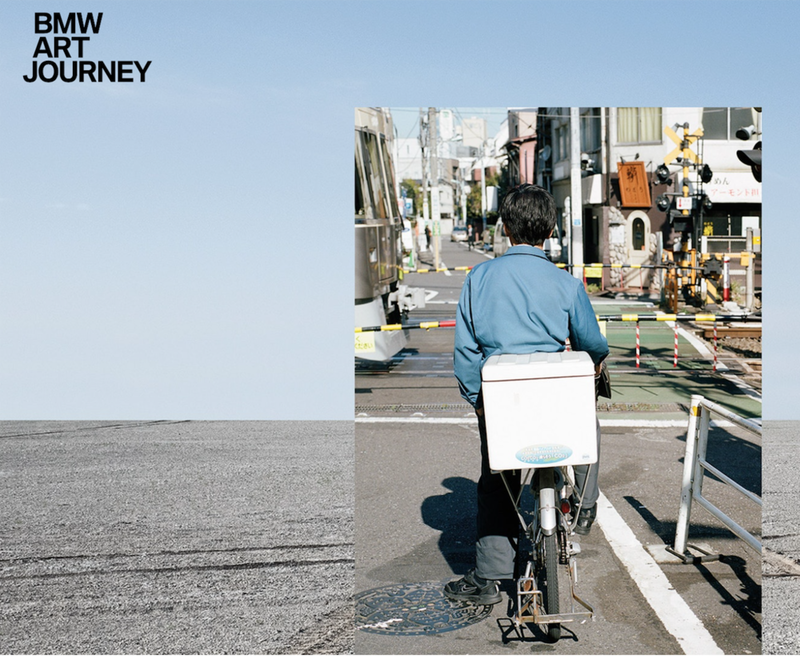 Here they invited a group of artists to travel the world creating new work along the journey. This gave the artists an incredible opportunity to develop their work while having global experiences they would never have had access to otherwise. And for BMW : a year’s worth of inspirational stories to share on their social media. The Gen Z expects to be incorporated into the brand and to feel part of it. If they can be directly or indirectly involved in the creation of a product or a campaign this will dramatically increase brand loyalty. Brands can harness the creative skills of artists to incorporate audiences into digital platforms, projects or events that create a unique connection and story. I believe that we are far from reaching the full potential of audience X artist X brand collaboration and the impact that this can have in positioning in a new market. For a Millenial like me, learning how Gen Z functions has been inspirational. They are a generation that knows no bounds. Like artists, they are open to experimentation, to collaboration, they have a global outlook and an entrepreneurial spirit. And importantly, they are also the generation that puts the most importance on equality in all aspects of life. Gen Z knows the value of art. Do you?